When Tiffany Wilson Karp began her term as President of the Southeastern Medical Device Association (SEMDA), she wanted to make a difference in her year at the helm of the celebrated and influential regional organization. SEMDA was in search of a healthcare public relations and marketing agency that could quickly expand its regional reach to drive increased attendance for its 2015 annual conference and beyond. Including a new web presence and identification of qualified new stakeholders, SEMDA needed highly targeted messaging and expansion of their social networks to accomplish the task efficiently. For volunteer, board-led organizations, the most efficient use of all resources is an everyday must. Even before SEMDA announced the hiring of its first ever full time executive director Jason Rupp, SEMDA leadership knew it also needed to expand its regional reach in order for the organization and conference to grow. Tiffany further asked Write2Market to provide a lasting, high-value, resource-efficient solution. The question: how best to do this? A series of press releases slung out over PR Wire and traditional media relations? We didn’t think so. We had a better idea. 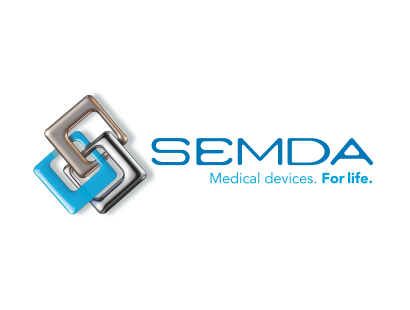 “SEMDA is renowned for its amazing network of investors, medical device companies and industry experts. We needed to respect that legacy while also showcasing a facet of SEMDA that potential new members wanted–a freshness in approach,” says Paul Snyder, Write2Market’s healthcare practice director. Working with a small team at Write2Market, SEMDA reviewed a competitive analysis of other medical device associations across the country. SEMDA selected a look and feel that was in tune with their brand personality. Write2Market executed a new web site that was easy to use and update. Integrating Salesloft with LinkedIn, we generated a laser-focused, highly qualified list of medtech industry insiders, investors and healthcare pros who we knew would benefit from SEMDA membership knowledge and conference attendance. Add in a healthy, consistent LinkedIn campaign (inclusive of spot-on group identification and outreach), a sprinkling of Twitter and smart emails with great subject lines we knew we had the plan to make the most of the budget to increase registrants for the upcoming 2015 SEMDA Conference. Write2Market began revitalizing the SEMDA “company” profile on LinkedIn. While the SEMDA “group” enjoys a robust membership and presence, the company profile, which has more unique, powerful capabilities than groups, was latent and needed to be resurrected from the ground up. Posts to LinkedIn groups are not capable of being shared by individuals with their networks (and other groups) – something this project had to have. Posts to LinkedIn company profiles are able to be shared with connections and groups, and can drastically boost visibility. The LinkedIn Medical Devices group alone has more than 260,000 members. With a concentration on LinkedIn including SEMDA leadership engagement for expansive “view and click” proliferation, a focused email marketing campaign and a sprinkling of Twitter we knew we had the plan to make the most of the budget to increase registrants for the upcoming 2015 SEMDA Conference. Write2Market generated more than 250 targeted, highly qualified leads through synchronization of LinkedIn, Salesloft and Twitter. During the course of the engagement, SEMDA increased its LinkedIn company followers by more than 100% in fewer than six weeks. SEMDA Twitter followers increased 10%. Additionally, the SEMDA website had 126 new visitors in two days alone, nearly 20% of which were new visits from social. Total LinkedIn impressions exceeded 12,000. Tif informed us recently that the conference met its goal of growing registration by 20% year over year! Contact Write2Market and learn how we generate industry leadership by connecting stories to sales.